Available while stocks last! For delivery Johannesburg, Pta Only. Cape Town Sold Out. The 'No Turn' Edblo Jasper Support Top offers durable and firm support for a good nights rest. 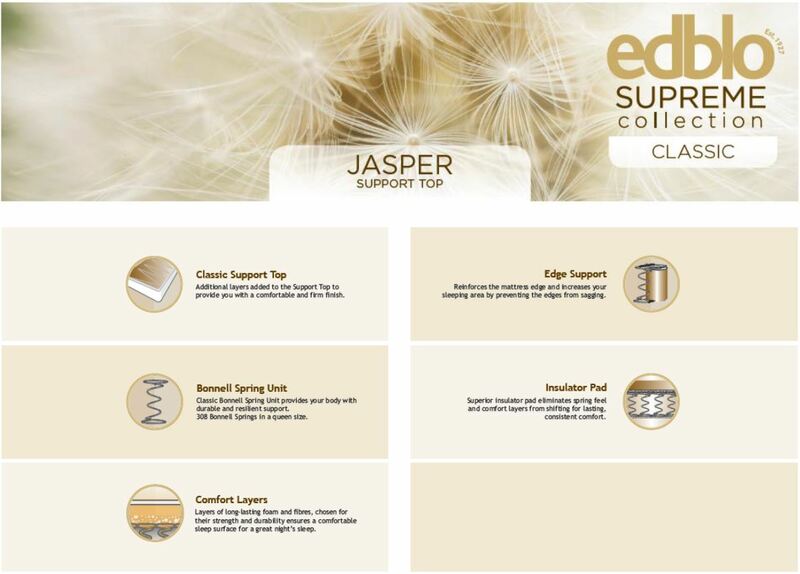 Additional layers are added to Edblo's Classic Support Top to provide you with a comfortable and firm finish. 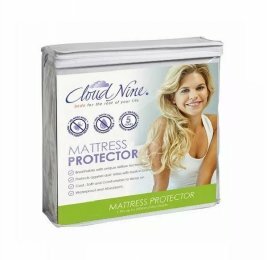 Comfort layers of long-lasting foam and fibres, chosen for their strength and durability ensures a comfortable sleep surface. 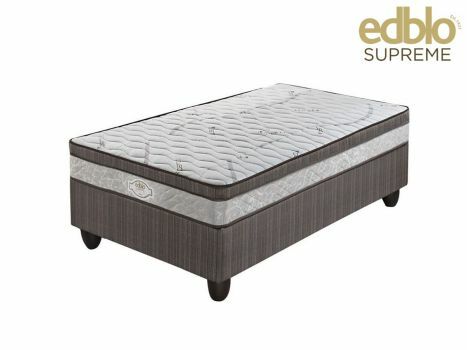 Edge Support reinforces the mattress edge and increases your sleeping area by preventing the edges from sagging. A Superior Insulator Pad eliminates spring feel and comfort layers from shifting for lasting and consistent comfort. 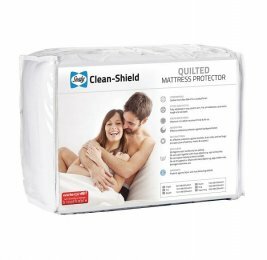 UltraCare antimicrobial mattress fabric protection keeps you safe from the development of allergens, fungi and mould, bacteria and bad odours. Cape Town, Durban, Johannesburg, Pretoria, Bloemfontein and Port Elizabeth only. I am enjoying the product delivered. Because of the quality of material used. The packaging was very organized and professional. In short I rate the product as of high quality. 10/16/2017Date Added: 10/16/2017 by Grace N.
09/26/2016Date Added: 09/26/2016 by FIONA C.